Yarn is a great resource for crafters – it can be used for knitting, crocheting, crafting – the list goes on! The best part? 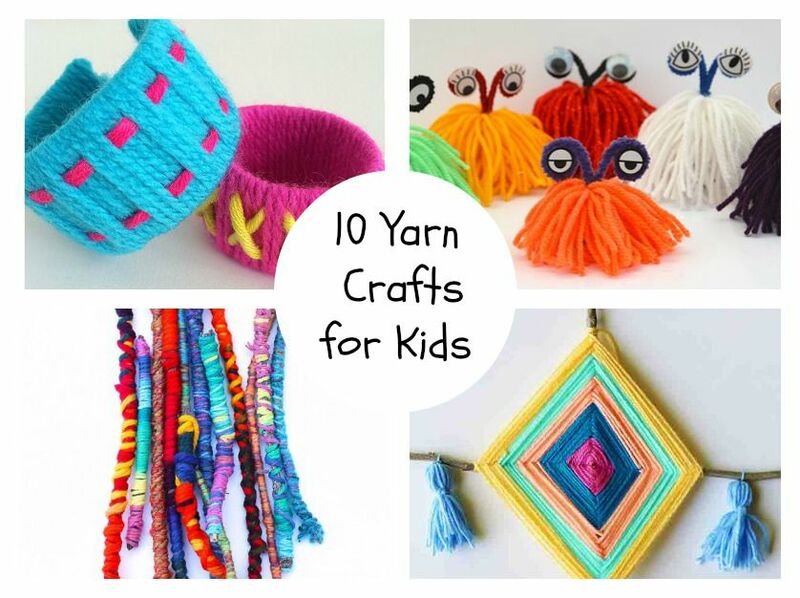 Kids really enjoy crafting with yarn. (And it's not very messy!) Yarn can be made into many things which make it the perfect craft supply. Use your favorite colors of yarn to craft! Practice weaving skills by making this God’s Eye yarn art. This craft is mess free and will keep your kids entertained and having fun. Your kids will laugh themselves silly crafting these little yarn monsters. They turn out so super cute! Looking for a creative yarn craft? This is it! These yarn sticks can be used for all sorts of games and activities. Make these beautiful dreamcatchers with baker’s twine and yarn. Easy as that! Wrap yarn around recycled toilet rolls to make cute bracelets with your kids. Weave it or wrap it- it’s up to you! I love these whimsical paper tube owls. This yarn project is perfect for little crafter hands. This art project uses just yarn and a rolling pin. I think all kids would have so much fun doing this craft. The outcome is beautiful! Kids can craft their own musical instrument with this tutorial. These DIY Xylophones are simple to craft and even more fun to play with once they are finished. These yarn balls can be used for home decor, play time, games, and more! They are really fun to make- almost an experiment. These cute little apples are such a fun yarn craft for kids. They will look like they had just fallen from your tree! Make these cute yarn flowers for a nice wall decoration or a cute spring card!